John Lescroart has long been one of my favorite genre authors. This blog has included reviews of two of his large number of San Francisco-based mysteries/legal thrillers — The Ophelia Cut and The Oath — the former in 2015 and the latter way back in 2005. So it’s long past time for a third review. 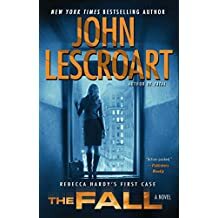 The Fall includes most of Lescroart’s continuing characters in the Hardy-Glitsky-Hunt-Farrell-Juhle series, featuring Dismas Hardy’s daughter Rebecca this time, now grown up and practicing law in Hardy’s firm. There’s even a major character who is a middle-school math teacher! Most of all, The Fall showcases Lescroart’s skills at courtroom dialog and suspense-building. You don’t need to have read the 15 preceding novels in the series, though it would help at times in making sense of some of the details. Lescroart manages not to hit the reader over the head, letting those who are new to the characters catch up without boring those of us who have read the earlier works. I can’t say much more, since I certainly don’t want to commit any spoilers. It’s entertainment, not literature, but it’s worthy entertainment.